This acronym is the main areas to look after a worm farm and keep the worms safe and healthy in an eco friendly and a environmental way. Why do you think having a worm farm at school is important? Do you know any interesting facts about worms? Would you consider having a worm farm at home? I think it's great to have a worm because it teachers us students how important it is to recycle. I found out there are different species of worms in the world. I would not consider having a worm farm because it would start to smell and rote. I think that a worm farm is good to have to teach students more about worm farms. It is important because we can learn moreabout how they live and what they eat. 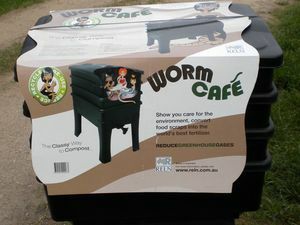 I would consider having a worm farm because I think that it would be fun to learn more about worms. I think that having a worm farm is inportant because our gardens will grow and we will have a healthy school.We need to put food scrapes and water on top of the news paper so that we dont let them die. Having a worm farm is realy important because it helps us in CBL. Gardens helps us with our leaning and getting people from the hume councle to come to our school and letting them talk to us and let us know more informaition.